Ready to register? Here's how. Our class registration is continuous throughout the year. We accept registration by phone (248-625-3547), in-person or conveniently on this website. New students may join at any time as long as there is a vacancy in your desired class. To register, click here to complete the necessary information, then choose your class day and time. If a class is full, you can place your name on a waiting list. Tuition will be pro-rated relative to your start date. If you prefer, feel free to walk in and register during business hours. Returning students, you're very special to us and therefore you only need to call us to get back into a class. You can also register online by logging into your account. Just click here to login. 1. How do I accept the Student Waiver & Release of Liability? Step 1: Click here and enter your email address that you provided us during the registration process. Step 2: Our automated online system will email you a link "Reset Password for Stars & Stripes Kids Activity Center". Step 3: Open your email that you provided us during the registration process and follow the email instructions. Step 4: Please enter your new password twice and press next. Step 5: Your password has been changed. Please click on the "LOG IN NOW" button. Step 6: Enter your email address that you provided us during the registration process and the password you created and press "Login". Step 7: Check "I Accept" box under each section, type name at bottom and press the "Accept" button. Gymnastics: Girls: Leotards without a skirt or tights are strongly recommended (WE OFFER A WIDE SELECTION OF LEOTARDS IN STOCK), hair pulled up neatly, and no jewelry. Boys: Proper sports attire -gym shorts with no buttons, zippers or buckles and a fitted tucked in tee shirt. Tumbling: Proper sports attire - leotard or gym shorts with no buttons, zippers or buckles and a fitted tucked in tee shirt, hair pulled up neatly, and no jewelry. Gym shoes that are not worn outside are optional for those in a tumbling class. Karate: A karate uniform called a gi is needed and may be purchased in our Stars & Stripes Pro Shop. No shoes are required. Once the student begins sparring, they will be required to wear a full set of gear including a mouth guard and a cup. Dance: Dance students are required to wear certain colors of shoes, leotards and tights depending on the classes they are enrolled in. CLICK HERE FOR DANCE CLASS DRESS CODE. Camps: Comfortable clothing specific to the camp they are attending. 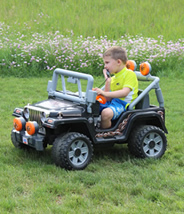 Camp is quite active and we want your child to be as comfortable as possible. Clinics: Attire specific to the clinic they are attending. 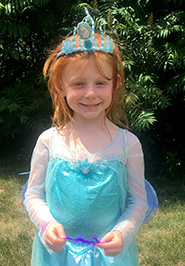 Birthday Parties, Special Events and Field Trips: Comfortable clothes for your child that allows them to be active and have a free range of movement. Warrior Training: Comfortable clothes for your child that allows them to be active and have a free range of movement. Please wear a clean pair of tennis shoes. 3. What should I do when I arrive for my first class? 1. Stop by the front desk/business office if you have questions. 2. Put your child's belongings in a cubby in the lobby. 3. Line up in front of your child's class sign. 4. Is your staff qualified? Our lesson plans and curriculum are custom designed by college educated experts with industry expertise. Our staff training regiment exceeds all industry standards. We have an extensive number of staff members that are Board Certified Teachers through the Michigan Department of Education. 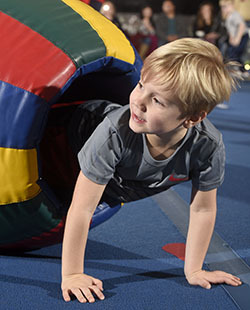 Our gymnastics and tumbling instructors are certified thru USA Gymnastics which is the sole national governing body for the sport of gymnastics in the United States. Our Karate Sensei's teach the Dillman Method of Pressure Point Fighting of Ryukyu Kempo. We are teaching the secret level of meaning for kata movements, and make the interpretation understandable to all. 5. How will I know if my child is ready to move to a different class? 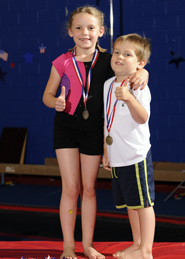 Gymnastics, Tumbling & Warrior Training: Your child's progress is continually tracked by your child's instructor. Your child’s instructor will personally speak to you when they have accomplished the proper skills necessary to be promoted out of their class. At that time you must contact Stars & Stripes Business Office to make your new class selection. Karate: Belt testing is in class during the 2 weeks prior to belt graduation (regardless of if it is mentioned by the instructor in class). When is belt graduation? Belt graduations are scheduled on a regular basis approximately every 10 weeks. When am I ready to test? Participants are ready to test when the instructor says they are ready to test. Very rarely will we have a student who is not ready to test. In the case of this happening an instructor will let participants know ahead of time. It is important to respect the instructors decisions on testing. For one to proclaim they are ready to test, shows disrespect toward their instructor. 6. Do you have a parent viewing area? We have spacious viewing areas, equipped with padded chairs, for parents to sit comfortably and watch their children. We also have free coffee and wireless internet. You can sit back and watch your child thru the large viewing windows or on the flat screen monitors mounted in the viewing area showing every angle of the facility. 7. How do I drop a class? I understand if my child is enrolled in a program that has reoccurring monthly tuition I am continuously enrolled in the program and I will incur reoccurring monthly tuition charges on my account until I submit a Stars & Stripes Class Drop Request. This document may be obtained from the Stars & Stripes Business Office or download a DROP REQUEST here for your convenience. If you are dropping a class (with reoccurring monthly tuition) it must be done on or before the last day of the month. If you drop a class after the month begins you will not receive credits and/or refunds for the remaining classes in the current month. 8. What if my child misses a class? Can they do a make-up? Just like college, your tuition pays for a class spot, REGARDLESS OF ATTENDANCE. However Karate, Dance, Warrior Training, Tumbling, and Gymnastics classes may schedule a make-up every other month in a regularly scheduled class when doing so does not jeopardize the safety or integrity of the class based on space, equipment, and teaching ratios. Piano has a designated time slot set aside for a make-up. Piano students may also schedule a make-up every other month. Make-ups must be scheduled in advance and is contingent on availability. If you should receive five classes during the month instead of four there will be no extra charge although it will be considered a make-up for classes missed while we are closed for holidays. AUTOMATIC installment billing: We will charge your credit or debit card the 1st of each month. If provided, an e-mail notification will be sent any time a payment is processed. Automatic installment billing only applies to programs that have installment monthly tuition. Fees for other products and/or services shall be paid for at the time of purchase and/or registration. If participants are enrolled in a program that has installment monthly tuition they are continuously enrolled in the program and will incur installment monthly tuition charges on their account until a Stars & Stripes Class Drop request is submitted. You can pay your account balance before the 1st of each month at the Stars & Stripes Business Office, online at www.StarsandStripeskids.com or using our APP. If payment is not received on and/or before the 1st of the month (regardless of what day of the month the 1st falls on or if it is a holiday), Stars & Stripes will bill and/or charge a manual account management fee of $25 on the account on the 2nd of each month. Please understand that Stars & Stripes does not send a monthly bill and it is your responsibility to pay your account balance at the Stars & Stripes Business Office. This only applies to programs that have installment monthly tuition. Fees for other products and/or services shall be paid for at the time of purchase and/or registration. 10. Is there credit given for missed classes, camps, clinics, and private lessons? No, just like college, your tuition pays for a class spot, REGARDLESS OF ATTENDANCE. Stars & Stripes does not give make-up classes, credit and/or refunds for, but not limited to programs, class(es), inflatables, gymnastics, tumbling, cheerleading, clinics, camps, private lessons, birthday parties, birthday party guests, bring a friend, play time, field trips, special olympics, swimming, competitions, preschool, group activities, family fun nights, parents night out, trampoline, dance, karate, circuit training, running, free weights, conditioning, obstacle courses, personal training and group fitness, missed and/or cancelled due to holiday, vacation, illness, weather or any other reason. Stars & Stripes does not issue refunds. All sales are final for any product and/or service purchased and/or provided by Stars & Stripes. Contingent on availability Stars & Stripes may issue a make-up for a missed class. If I should receive five classes during the month instead of four there will be no extra charge although it will be considered a make-up for classes missed while we are closed for holidays. 11. Is the facility clean? Yes, our facility is cleaned and disinfected daily by trained commercial cleaning companies. We contract with the most respected and highly trained cleaning crews in the industry. In our increasingly health-conscious culture we believe our customers deserve the cleanest facility possible. We provide a hygienic environment for you, our customer, because you deserve it. We care about your families well being. Our facility is also equipped with a state-of-the-art Air Quality System which changes out the air in the facility countless times per hour, keeping fresh quality air continuously circulating. We pride ourselves on offering sanitary solutions for our facility that go well beyond traditional janitorial service. 12. What will happen during the summer? We are a year round facility and we offer programs to meet your schedule every month of the year. 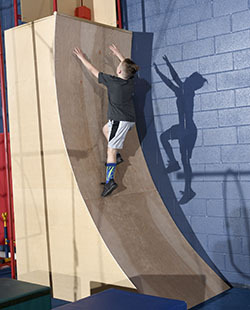 One benefit to our facility is that we have air conditioning that allows your child to stay active in the comforts of a climate controlled facility. 13. What happens with snow & inclement weather? Stars & Stripes sits between many school districts, therefore, we DO NOT follow the closing decisions of any particular district. In the event of a closing, Stars & Stripes will call the numbers on file and send out an email to the email addresses on file.